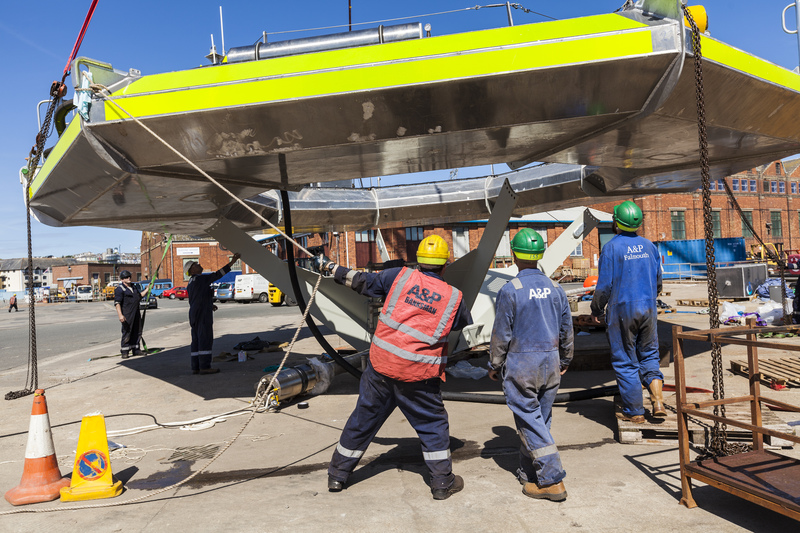 ver the course of the last few weeks Seatricity’s team has been focussed on returning the Oceanus 2 to its berth at Wave Hub. 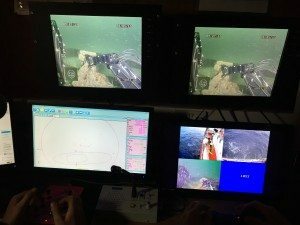 n the process it was discovered that some remedial work was necessary to the 5 point mooring system which is designed to be kept under the tension provided by the device. With the able assistance of local partners KML Ltd and Seawide Divers, and support from the staff of WaveHub we have done much to restore them to serviceability. 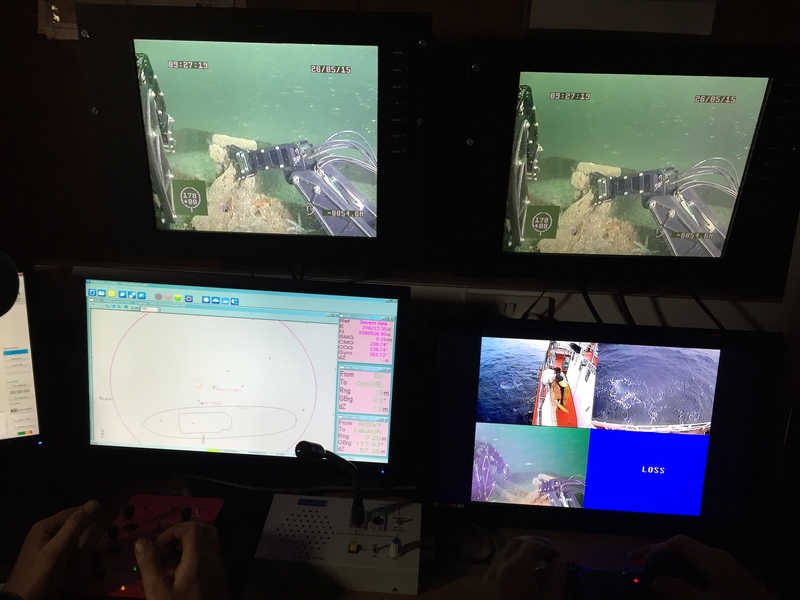 The picture below shows the ROV control room of KML’s ‘Severn Sea’ with the crew at work using manipulators to adjust one of our mooring anchorages. his additional work, however, prohibited us the time necessary to re-attach the Oceanus 2’s main pump tether which is designed in normal circumstances to take the majority of the anchoring load. 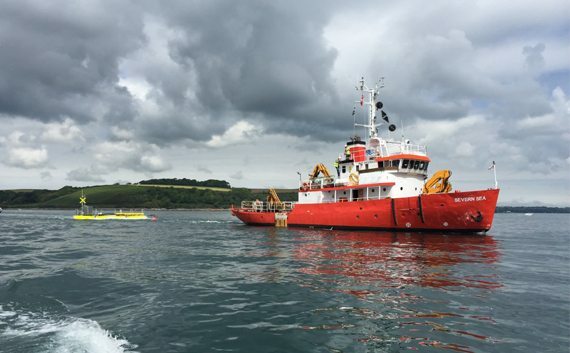 Although all positional moorings are also designed to anchor the device alone, the forthcoming forecast predicted uncommonly strong winds and we therefore took the difficult decision to return the device to Falmouth despite our success in ultimately recovering all the moorings and re-buoying them on the surface. More recent forecasts and prevailing weather have confirmed the wisdom of this approach. 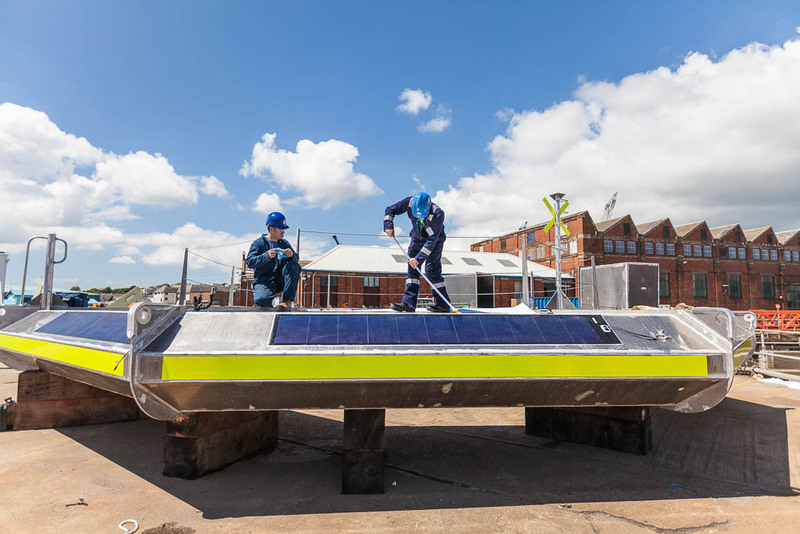 he net result will introduce some delay to our 2015 programme but we will take the opportunity to introduce some further improvements to the Oceanus 2 whilst it is again ashore whilst preparing for the next attempt. We will of course provide further updates when our next steps become increasingly definitive. Throughout the process, we have been continually reassured that our ongoing confidence in the potential of the Oceanus 2 device remains justified and now remain committed to returning it as promptly as possible to the WaveHub site. Click here to visit KML’s website…….